Given that the Nike Oregon Project recently announced that Kejelcha would be making an attempt at the Indoor World Record (Hicham El Guerrouj’s 3:48.45) Cheserek will likely tuck in behind him. Kejelcha recently ran 3:51 indoors, Cheserek 3:55, though Cheserek ran 3:49 indoors last year. Nick ran 3:56 in his indoor opener. “I’m not ready to claim age as an excuse yet, though I will be turning 36 in a couple of months,” he said. 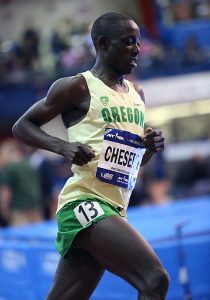 Cheserek is 25, Kejelcha 21. Kejelcha’s NOP teammate, Clayton Murphy, 23, could threaten late in the race should Kejelcha falter. 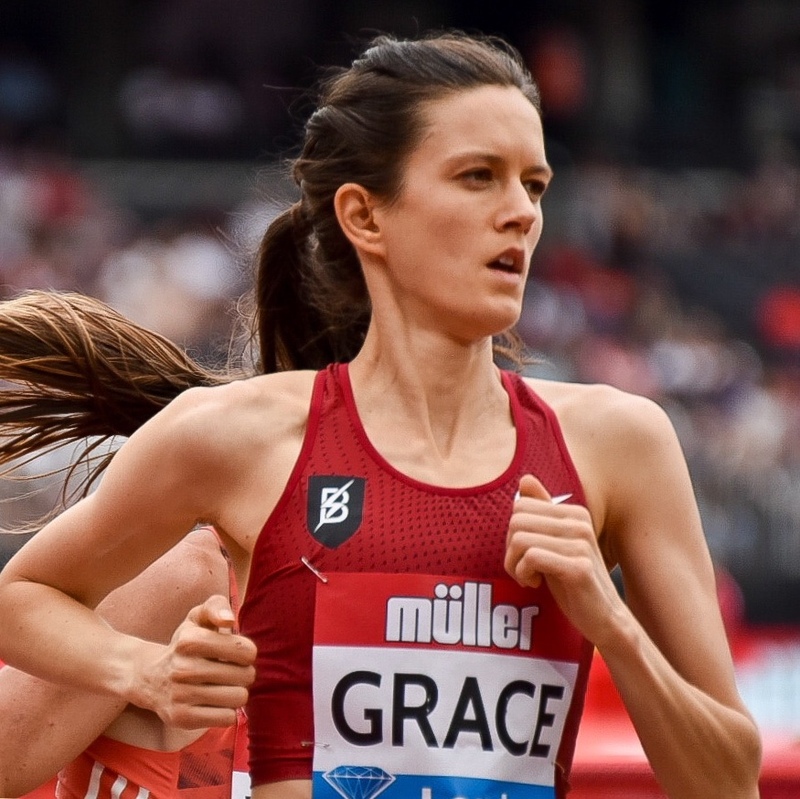 Grace’s chief competition will likely come from Germany’s Konstanze Klosterhalfen, 21, who has won recent indoor races at 1,000m, the mile, and 5,000m, and Colleen Quigley, 26, who edged Grace last year. Canada’s Gabriela Debues-Stafford, who likely would have been in the mix, is a late scratch with an Achilles injury. Will Leer easily has the fastest PB (3:52.47) in the field, but I haven’t seen many race results from him over the past few seasons. For me, it comes down to picking between my fellow Princeton alum with a lethal kick, Peter Callahan, and my current Brooklyn Track Club teammate, Daniel Winn. 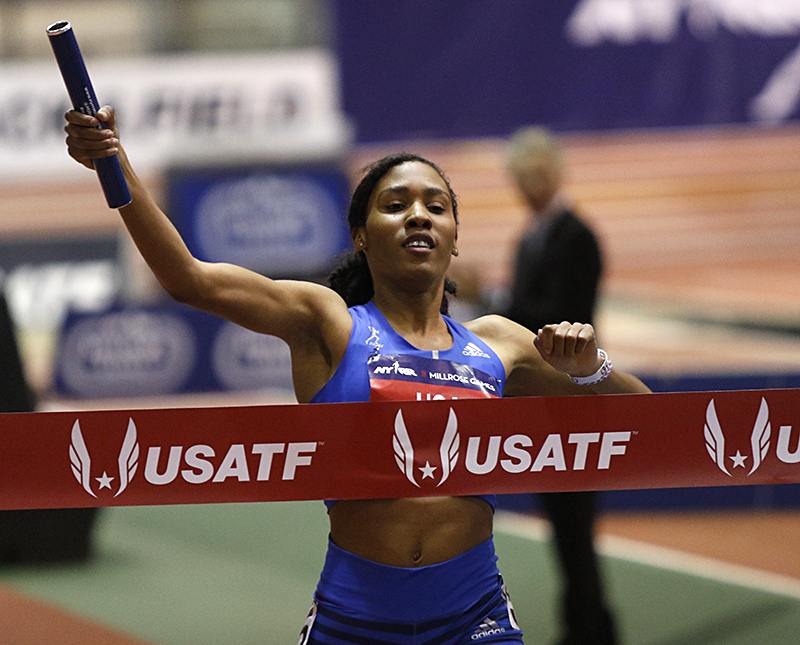 Callahan beat Winn in a close 1000m at the Armory a month ago. Since then, Callahan dropped out of a mile race in Boston, and Winn ran 3:59 at a different meet. I am going with the hometown pick in this one. I’m anticipating fireworks in this race with three 1:45 guys in Donavan Brazier, Michael Saruni, and Drew Windle, plus Erik Sowinski. Saruni may be the most talented of the bunch with crazy raw speed, but both he and Brazier have made miscalculations at the finish in the past. Windle is a strong finisher reminiscent of Nick Symmonds. On an indoor track, this race may come down to who takes the lead first and can go wire-to-wire and avoid having to go around anyone. I pick Brazier, as NOP athletes tend to be tactically sound. The “Boss Ladies” Emma Coburn and Aisha Praught-Leer, both coached by Joe Bosshard, have to be prohibitive favorites after last year’s fast photo finish. BUT I see an opening to take a dark horse upset pick in Elinor Purrier. Purrier already has run 8:48 this season and showed nice closing speed in that race. Last year’s NCAA indoor mile champion should benefit from having that 3000 under her belt and get the jump on Coburn and Praught-Leer. This race features a bunch of recent former NCAA champs including the most recent one, Morgan McDonald, who won this fall’s NCAA Cross Country title. Aussie Pat Tiernan famously took down the unbeatable Edward Cheserek in 2016’s edition. My pick should make Brenn happy, because I am picking the Canadian Ben Flanagan who won the 10,000 at last year’s NCAA track and field championships. Since then, he has been on a roll showing a knack for breaking tape. Looking at PBs and considering finishing speed, I think this race comes down to last year’s champ Colleen Quigley, Kate Grace, and German 21 year old phenom and NOP athlete Konstanze Klosterhalfen. Klosterhalfen sports a 3:58 1500m PR that should be tough to beat. Add in the NOP emphasis on closing speed, and I think that only a Kate Grace at peak condition can match. I see only Natoya Goule, Raevyn Rogers, and Ce’Aira Brown having a chance of taking down Ajee Wilson in this one. Wilson keeps getting better year after year, and her tactics are flawless. Ajee all the way. I’ve been picking NOP athletes whenever they are entered, and I have three options in this race. Outside of the three Yomif Kejelcha, Clayton Murphy, and Craig Engels, I have to like Nick Willis, Edward Cheserek, and Josh Kerr as contenders. I don’t think Willis ends the drought here, and King Ches was beat pretty handily in the 3000 earlier this season by Hagos Gebrhiwet. Both Kejelcha and Murphy appear to be fit and sharp, but at this stage, Kejelcha seems to be the class of the field.